Versatile voiceover artist Mary Ellen Whitaker narrates television and radio commercial spots, documentary soundtracks, educational training materials, multimedia products, and corporate media productions. Mary Ellen's accuracy and ability to take direction make her a highly sought-after female voice over artist and narrator. "Every project, whether it's a 30-second public service announcement or a ten-module multimedia course, can be enhanced when the message is delivered via an accessible human voice," she says. To find out what clients and producers are saying about voice over artist Mary Ellen Whitaker, click here for Client Testimonials. To hear voiceover demos, click here. If you like what you hear, e-mail mew@maryellenwhitaker.com to book a voiceover recording session. Mary Ellen is also available for auditions if you'd like to hear her read the voice over for your own script. Each project has its own unique demands and requirements. 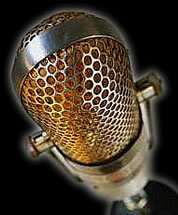 For a quote on your next voiceover recording project, e-mail mew@maryellenwhitaker.com.